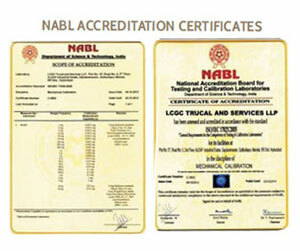 LCGC Trucal and Services LLP, Hyderabad, a state of art Mass calibration laboratory works for the Mass standards of various classes as per OIML R-111. 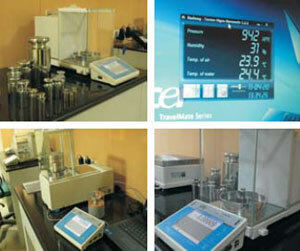 We do recalibrate the existing weights from customers and supply LCGC weight boxes and individual weights. 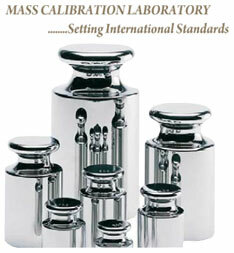 LCGC Trucal uses the world class mass comparators manufactured by RADWAG. This includes an Automatic Robotic mass Comparator also. All the primary reference standards of LCGC Trucal and Services LLP are traceable to NIST, through Troemner LCGC operates on standard SOP's & set of QSP's for its regular calibration activities. LCGC Supplies its own individual weights & weight sets which are manufactured as per OIML norms from a OEM European manufacturer.